A primer on the "ouzo effect"
So what’s happening here? The answer lies in the anise oil dissolved in the ouzo, which spontaneously forms droplets as soon as it makes contact with the added water. 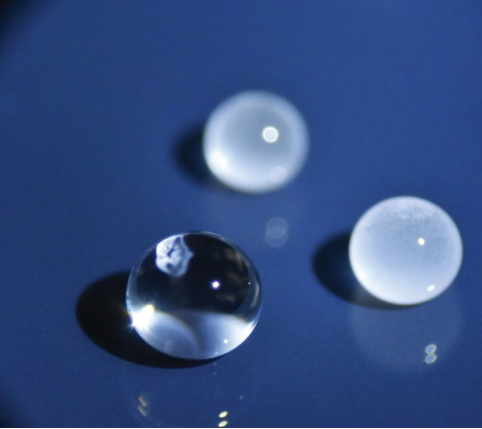 These droplets are small and numerous enough to not just refract or reflect the light, but also scatter it in complex ways, thus giving the diluted ouzo its milky white colour. The reason the droplets form is that anise oil, or its flavour-lending compound Anethole to be more precise, is only slightly soluble in water but highly soluble in ethanol. As the concentration of water in the solution increases, the solubility of anethole in the solution decreases and it eventually becomes supersaturated. If the supersaturation is significant, nucleation of oil droplets occurs. Each droplet formation event depletes some anethole from the region near it, and the droplets thus tend to form apart from each other without coalescing. This effect is not just specific to ouzo, and wikipedia has helpfully collated a list of other anise-flavoured spirits that show the ouzo effect**. In general, the effect can be observed in any ternary mixture of hydrophobic oil (here anise oil), water-miscible solvent (here ethanol), and water. 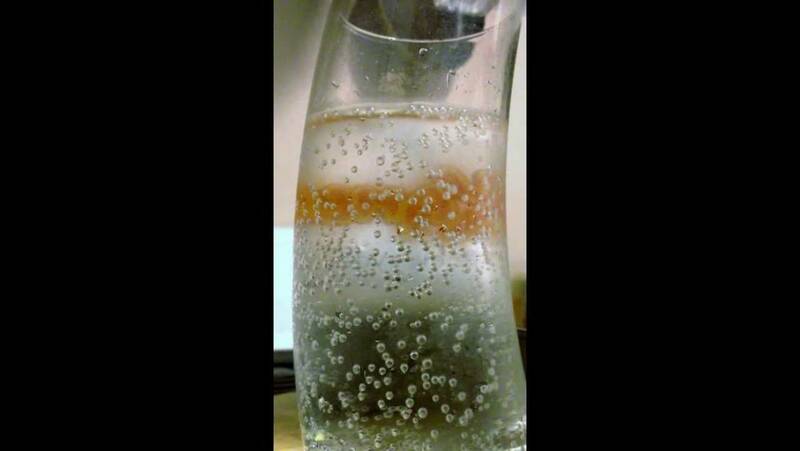 The relative concentrations of solute, solvent and water in the mixture determine if/when the ouzo effect occurs. Note that you don’t need to add water, alternatively you could just wait for the ethanol to evaporate, and watch as the ouzo effect is triggered in a sessile drop as it shrinks, as recent papers have showed. Figure: Cover art for this paper, with initial drop of ouzo (bottom left), subsequent drops (right and top) after sufficient ethanol has evaporated to trigger the ouzo effect. The ouzo effect can be used to form stable emulsions where the drop density and size can be controlled without the need for mechanical or chemical intervention. As a result, it is used in numerous applications, from the formation of beverages and perfumes to selective microextraction in forensics and biomedical science. However, despite its many uses, the fundamental mechanism of the spontaneous emulsification that underlies the ouzo effect is still not well understood. This is because the ouzo effect is an inherently multiscale phenomenon. It starts from local fluctuations of solvent concentration at the molecular level, which results in nucleation of nanodroplets in a fraction of a millisecond; these nanodroplets then grow in size (via Ostwald ripening) to form microdroplets and finally, in a few seconds, become visible at the macroscale as clouding in the ouzo glass. As folks in this research group are well aware, systems involving large time- and length-scale separation of this nature are very hard to simulate. Hypothetically, if we can ever get to working closely with experimentalists on modelling the ouzo effect, come the end of every day, work truly would be its own reward. * Disclaimer: DO try this at home. **As Martin, our resident connoisseur of greek sprits, will attest, tsipouro shouldn’t be on the list as it can be made without anise oil. His home-made tsipouro did not show any ouzo effect, and I had to use a video off youtube here instead.